I've listened to this three or four times already since first reading it in May. It's already one of my all-time favorite books. The magical, dream-like but dark themes combined with Neil Gaiman's expert reading of the novel make it perfect for re-listening while I work. This is the second book of the Stormlight Archive, written by my favorite author. I'm dying for the next book to come out! I found Kate Reading's narration a bit annoying at times, but not so much so that I couldn't bear to listen. Nothing I say can do this series justice. If you're into fantasy, just read the series, but start with The Way of Kings. Book one of the Reckoners (I just read book two). Another awesome Sanderson series and though it's technically his YA series, it doesn't feel particularly YA. A must-read for anyone who loves the fantasy genre (like me!). In December 2013, I read my first Moriarty novel, The Husband's Secret. I was enamored. Moriarty is so good at writing people and interactions. They're believably raw, and very, very real. Her books are murder mysteries, minus the usual blood and gore (and sometimes the murder). Big Little Lies is my favorite of the three Moriarty books I've read so far (though I enjoyed them all). It also shone a big, bright spotlight on a very powerful and oft-ignored issue. I love it when fiction authors manage to incorporate important issues and perspectives. Highly recommended! This is the first and (I think) best book of the trilogy, but the rest is good enough to be worth finishing the series. Blue-haired heroine, magic, and a powerful picture of religious conflict. Though the factions are fictional, it has real world application. You see how the stories are different, how events got distorted in the histories, how hate can continue to fuel itself over the centuries. Painful to read at times because war is just that: painful. Great trilogy! This series is still being written. This is the first book in the series and my favorite so far. I do plan to continue reading it, though, so we'll see how everything turns out. My favorite Vorkosigan book is (go figure) not about Miles. Rather, it's about his mother, the incredible Cordelia. I wish Bujold had written more books from the perspective of this incredibly badass lady. Cordelia, a fearless, honest scientist from what she considers a rather civilized world, is horrified by the customs of her new husband's "backwater" homeworld (her new place of residence). She is not at all afraid to say what she thinks. Barrayar had me laughing a LOT. This is not a book meant for light reading. When I saw Brandon Sanderson write that his favorite fantasy author was Guy Gavriel Kay, I knew I had to read some of his books. Kay is not shy in the least, bringing up heavily tabooed subjects without the flashy, novelty quality that really makes me despise George R. R. Martin's books (sorry, GoT fans). His themes are raw and he writes in gore when necessary. Kay's characters do horrible things to each other. And despite this all (I'm not usually a gore fan), I loved Tigana. Kay's stories are painful but powerful. Everyone has probably heard of this series by now. The second book was just alright and I didn't finish the series (read too many warnings to stay away from the last book), but I really enjoyed Divergent. I would write a more exciting blurb if it the series had lived up to its potential, but I do like to give credit where due, regardless. This particular book is worth reading. This is a YA book (a genre I read sometimes but isn't my primary genre of choice) and based on the premise, I honestly didn't expect to like it as much as I did. I thought it might be repetitive, since it's about Samantha living the same day over and over. However, Oliver does a decent job of not falling into this trap, by introducing new information and sometimes different events into each re-lived day. I loved seeing Samantha's transformation and growth, even knowing already how it would end. Some of the male voices narrated by Sarah Drew were a bit irritating, but I still enjoyed the audio version. 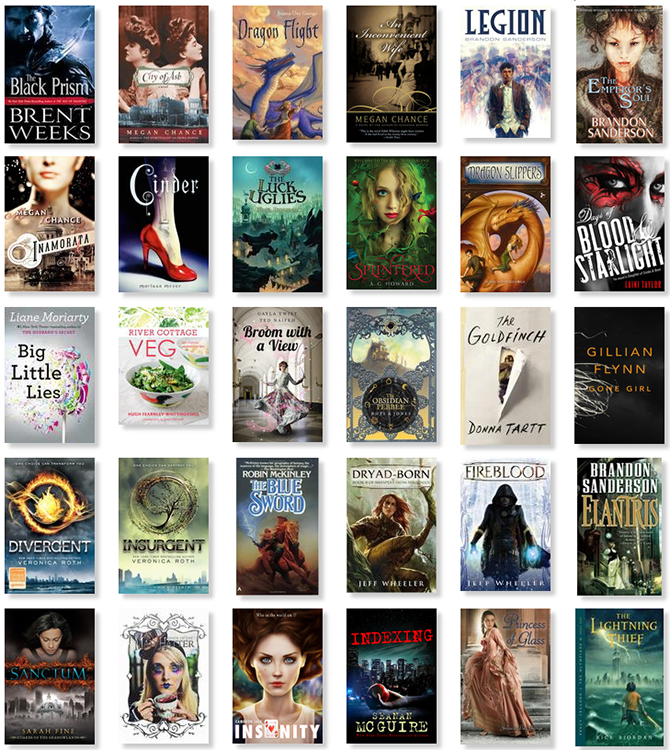 As an Amazon Prime member and Kindle owner, I get to choose one of four free books every month through the Kindle First program. To be honest, they're usually rather terrible. Still, it's hard to pass up a free book, so I usually pick one up anyway. Inamorata was one of those books. Due to the usual quality of Kindle First books, this took me by surprise. So lyrical, slightly sinister, and very much tiptoeing on the edge of taboo. Though the ending wasn't particularly satisfying, it was quite the read. 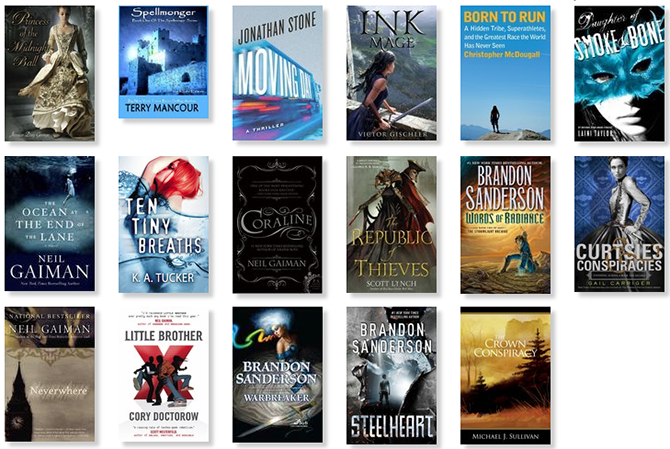 What are your favorite books read in 2014? Great list! 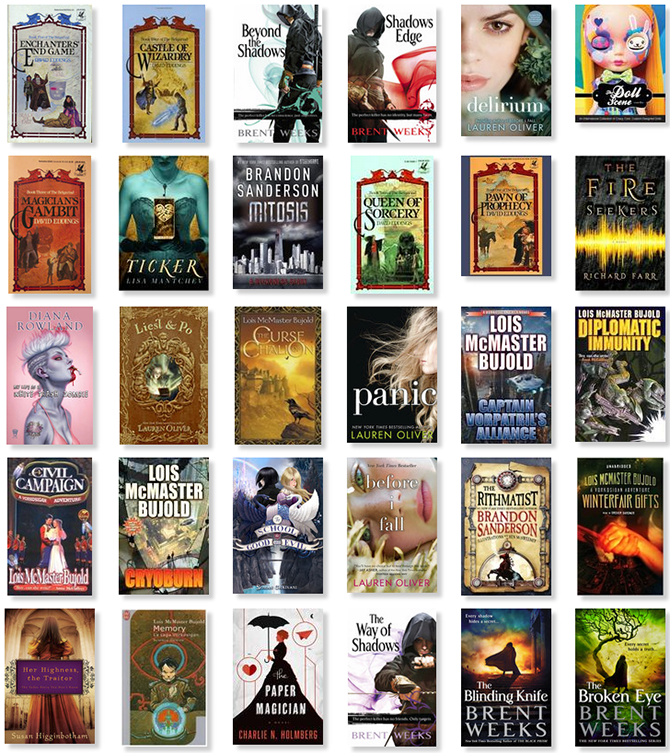 And congrats on the awesome number of reads last year. I'm going to have to go through this and add some to my to read list, as it seems we have similar tastes. I definitely need to read some Brandon Sanderson soon, I've heard nothing but good things. I just finished The Fallen Siren series by S.J. Harper, which I thought was fantastic. I also just read House Immortal by Devon Monk, and thought it was a good start to the series. Haha yeah it's funny that way, isn't it? One person's trash is another person's treasure and all that. I'm always surprised to find how much tastes/opinions vary on books! I'm going to go check out the series you mentioned - thanks for the recommendations! Ooh! Saving this post! I definitely want to get back into reading this year so I will check out your faves! Aww thanks, Tara! 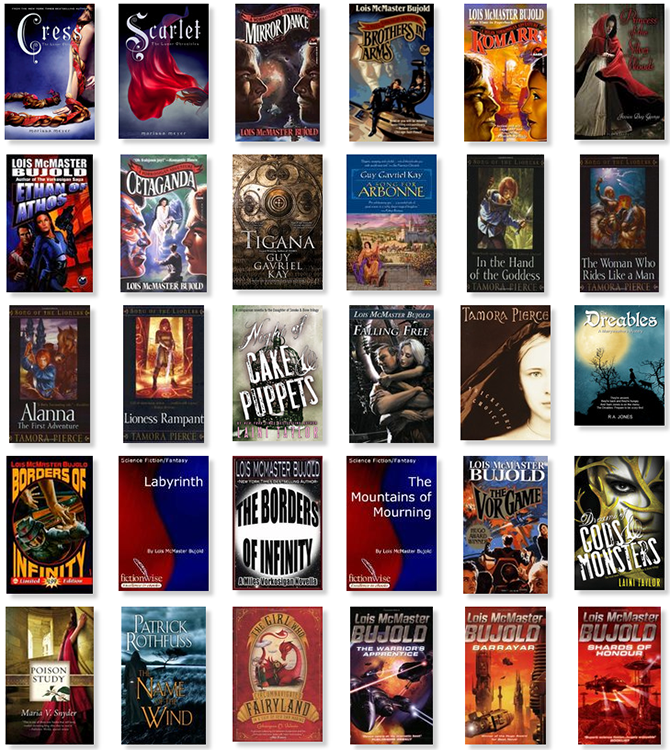 Yeah, I got back into reading in more recent years and am SO glad I did!